Here we are. The final weekend before pitchers and catchers report and Major League Baseball officially kicks off preparations for the 2019 season. 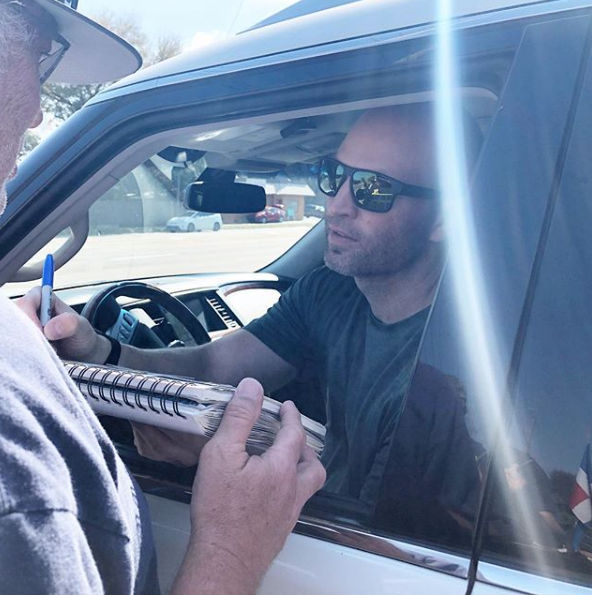 Many players have already made their way to Tampa and have been seen in their informal workouts on the practice fields around Steinbrenner Field and signing autographs as they depart the hallowed grounds of 1 Steinbrenner Drive. I always enjoy the opening of Spring Training. So much excitement for the new season, everyone’s healthy (for the most part), and after no Major League baseball since last October, the gang’s back together again to make another run at the American League championship and the ultimate goal of winning the World Series. Of course, the feeling starts to fade in a couple of weeks when we are anxiously and impatiently awaiting the start of the regular season but for now it’s a thrilling experience. 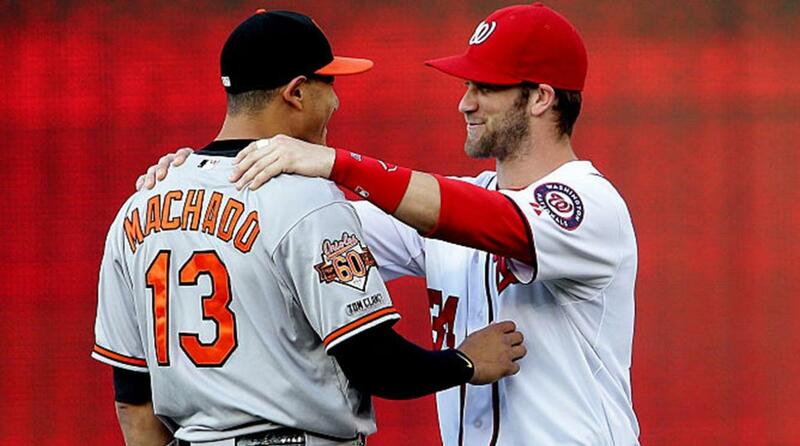 The past week saw another round of rumors surrounding Bryce Harper and Manny Machado. 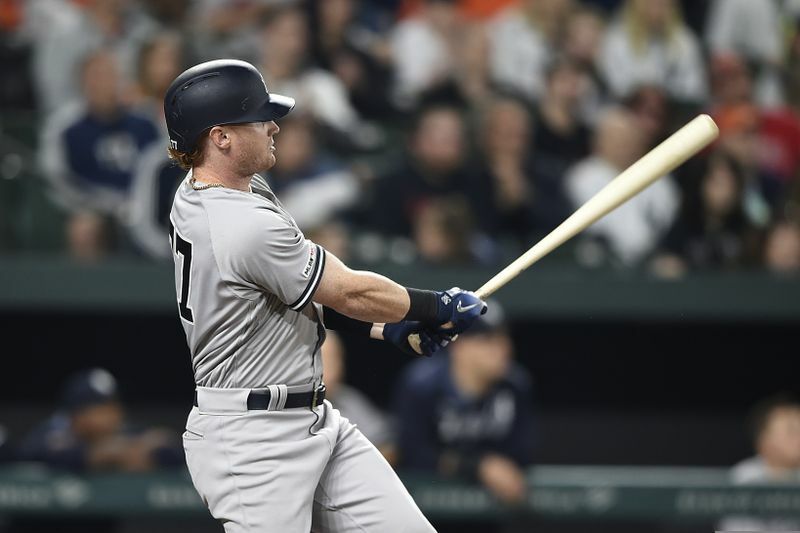 While both young superstars remain unsigned, there is continued speculation the Yankees could make a play for one of the players if the price falls into their comfort zone. The words of Managing General Partner Hal Steinbrenner this week while attending the owner’s meeting in Orlando did not dispel the rumors. I know, he can’t say the Yankees are out because of the CBA, but he somewhat flamed the rumors by not counting the Yankees out on any moves they might make in the coming days. Steinbrenner made the comment, “If there’s a narrative that we’re not spending money and being cheap, that’s just false”. In my opinion, the Yankees have not been cheap. If anything, my frustration is simply the allocation of dollars that have been spent. I like DJ LeMahieu but with all honesty, the team would have been better with Manny Machado than LeMahieu. There’s been word (no official confirmation) the Yankees floated a concept of 7 or 8 years for around $220 million when they met with Machado in December. If true, Machado’s agent should have used it as a starting point for more serious negotiations. It didn’t happen, and the team quickly pivoted to LeMahieu. I don’t feel Steinbrenner is being cheap but conversely I don’t feel that he’s putting the best possible team on the field. Maybe signing Machado is not meant to be or if he really wanted to be a Yankee, he would be one by now. Regardless of events, I can’t help feel a little disappointment that neither Machado nor Harper are making flight plans for Tampa. At various points of the off-season, the Yankees have called Brett Gardner the starting leftfielder and Troy Tulowitzki the starting shortstop. I don’t buy either claim. At this point in his career, Gardy helps this team the best as its fourth outfielder. He is not the player he once was. Age happens to all of us, except for maybe Tom Brady or Mariano Rivera. Perhaps Clint “The Wildling” Frazier proves the injuries and concussions are behind him and he finally fulfills the promise he’s held for a few years now. I have no problem rolling out Frazier as the starter if he proves in Tampa over the next few weeks that he is ready. Personally, I’d prefer it if Frazier can take the job from Gardner because it means he has proven he can be better. As for Tulo, I just can’t shake the feeling he is done. Realistically, I am not expecting much from him. I think he’ll be very rusty in Spring Training, and I don’t see him as an every day starter once the team moves north to the Bronx. It feels too much like trying to “catch lightning in a bottle”. The infield is much stronger, in my opinion, with current two-year consecutive Wilson Defensive Player of the Year DJ LeMahieu at second and Gleyber Torres sliding to shortstop until the great Didi Gregorius is ready to return. But despite Plan B’s that make sense with the current roster and invitees, the Yankees can be a better team with Harper or Machado. Of the two, Harper makes the most sense. Aside from the left-handed bat that he’d bring to the lineup, he represents a great option for left field, keeping Giancarlo Stanton in the healthier role as DH, and Harper could potentially develop as a first baseman. I know, you don’t pay a guy hundreds of millions of dollars to see if he can play a new position but Bryce would represent such a great resource for the Yankees in their drive to dethrone the Boston Red Sox. For Hal, Harper will increase tickets sales, both at home and on the road. If the Yankees are successful in reacquiring controlling interest in the YES Network, Harper would be a primary face and draw attraction for the team. He is a popular player, perhaps one of the most popular in the game outside of Mike Trout. This is not meant as a slam to Aaron Judge who I feel is one of the greatest players in the game, but Harper unquestionably has more fans outside of the Yankees Universe. I am still a major fan of Manny Machado but I recognize that his presence would adversely impact Miguel Andujar. Nevertheless, the Yankees should not decide to pursue Machado because of Andujar because Machado is clearly the better overall player. But under that scenario, the Yankees would need to move Andujar to left field or first base or trade him for top starting pitching as we’ve talked about ad nauseam this off-season. Putting Harper in left keeps Andujar at third with the potential to see if he has improved his defensive game and allowing LeMahieu to slide over to the corner for support if necessary. My desire to add either Harper or Machado will not die until the players sign somewhere, anywhere. Once that happens and if it is not in the Bronx, we’ll move on. 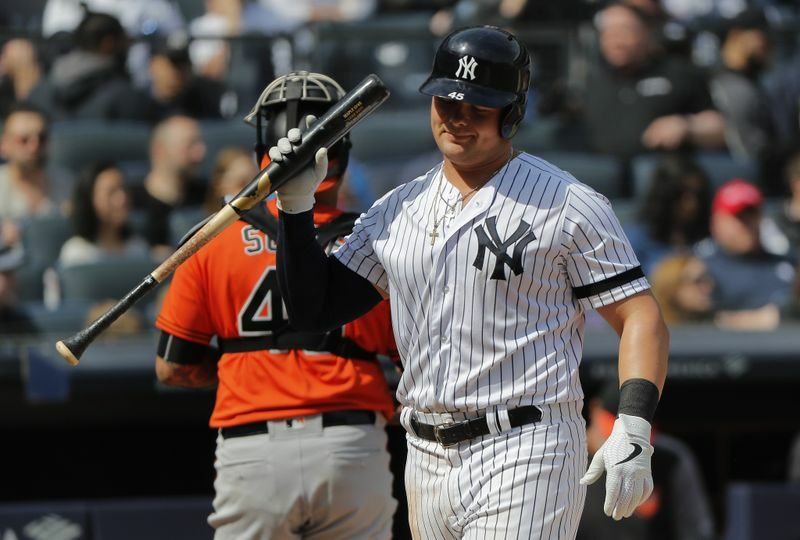 The 2019 New York Yankees will be a very good team with or without Harp-Chado. If the Yankees do not sign either player, I’ll undoubtedly look at it as missed opportunity (the “missed” chance to turn the team from very good to great) but I’ll support the current roster with full force and vigor as we all will. I am really enjoying Adam Ottavino as a Yankee. His ‘This or That’ videos on Instagram with his wife feeding him questions from off-screen have been stellar. 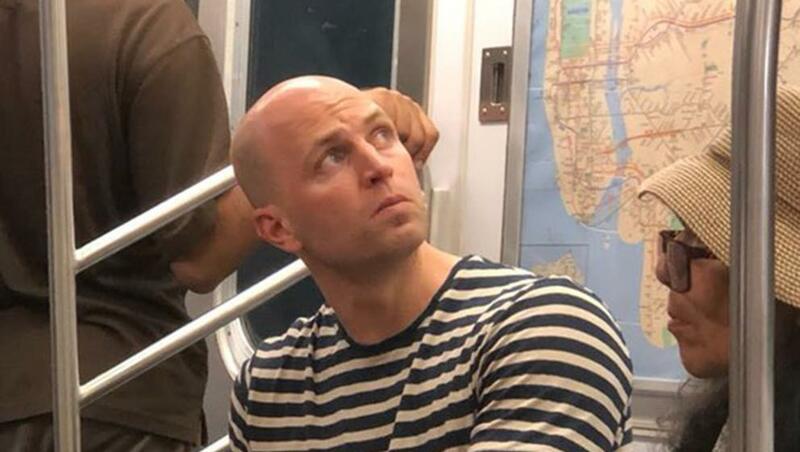 Given he is a lifelong Yankee fan like us makes him so relatable, outside of the fact that he’s 6’5”, ruggedly handsome, throws a nasty slider, lives in a beautiful Manhattan apartment with an overview of the city, has an adorable wife and family, and makes millions of dollars per year. 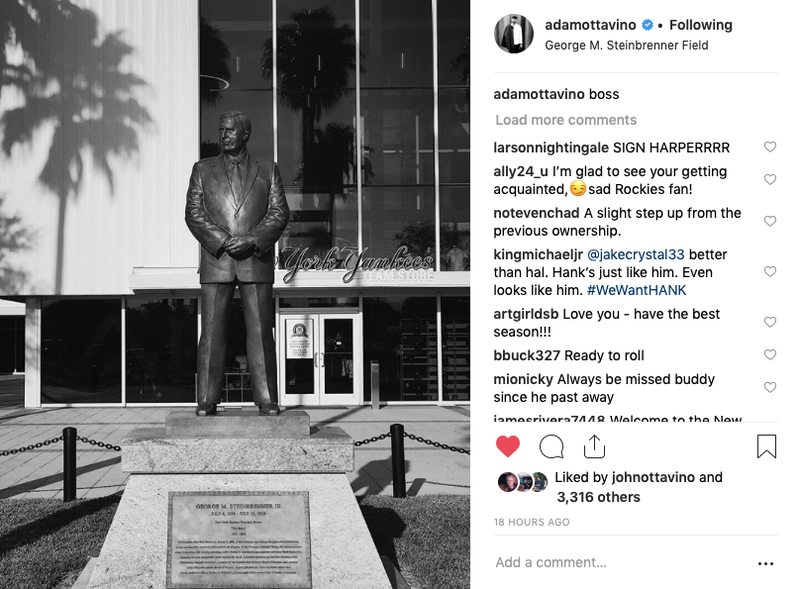 I like that Otto’s first pic upon arriving in Tampa this week was to take a picture of the famed George Steinbrenner statue outside of Steinbrenner Field. Ottavino understands the history of the franchise better than most through his childhood fandom. He recently mentioned that his favorite Yankee hitter was Bernie Williams and fave pitcher was Jimmy Key. There’s probably guys on the team who don’t even know who Jimmy Key is. I respect both of those choices. After being known for years as Zach Britton, I was surprised the reliever formally announced that he’d be known by the proper “Zack” going forward. Not so much the correction of his name to match how he uses it and the name which appears on his birth certificate but rather why it took so many years for him to do it. I am sure that I’ll type Zach a time or two this season. Personally, with no offense to any Zack’s reading this, but I prefer the “ch” version of the name. It sounds more sophisticated, IMO. But hey, it’s not my name. Britton has the right to call himself whatever he wants. 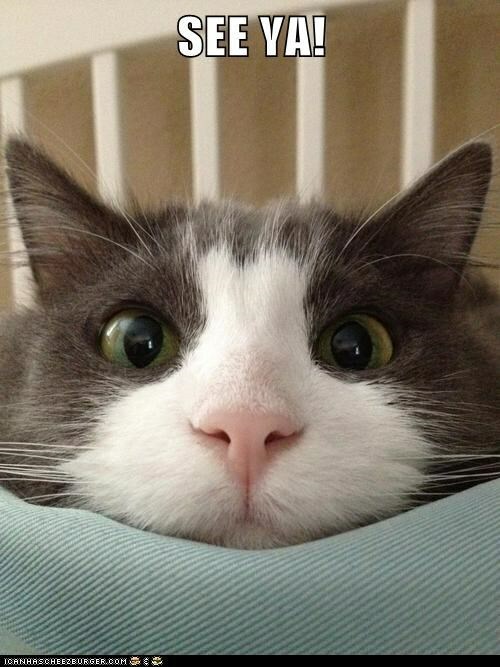 If he wants to go by “Fluffy”, that’s fine by me. I guess I’ll get used to the new spelling in time. Speaking of Britton, I didn’t realize that his brother Buck was a manager in the Baltimore Orioles’ farm system. Buck Britton managed the Single-A Delmarva Shorebirds to a 68-66 record in 2018. For this season, he’s been elevated to manager of the Double-A Bowie Baysox. Not that I expect Zack to ever get over his love for Birdland, but his brother’s presence in the Orioles organization continues to give him ties to his former roots. 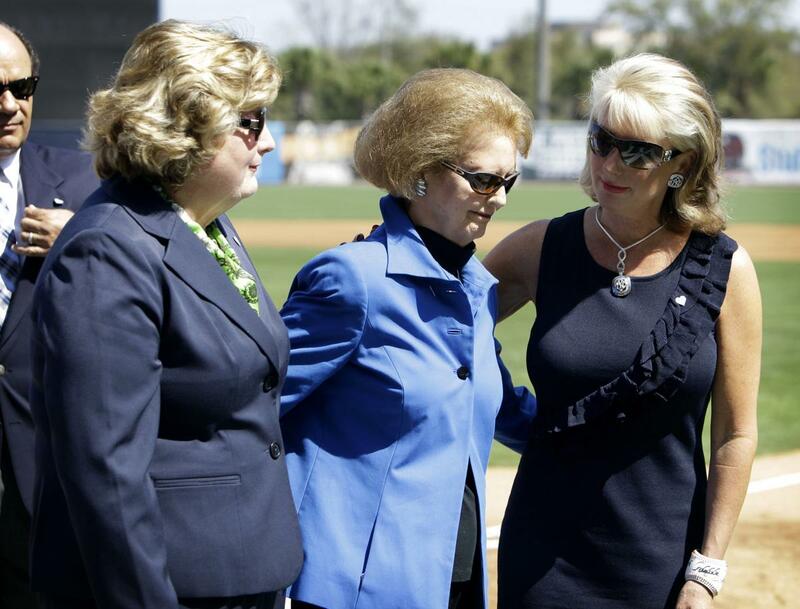 I know the Yankees stick to the policy out of respect for the late George Steinbrenner but times have changed. I do not feel that short, trimmed facial hair detracts from the brand. It seems like all of the Yankee players are sporting some type of facial hair during the off-season. And very often when Yankee players are traded elsewhere, the first thing they do is grow a beard. 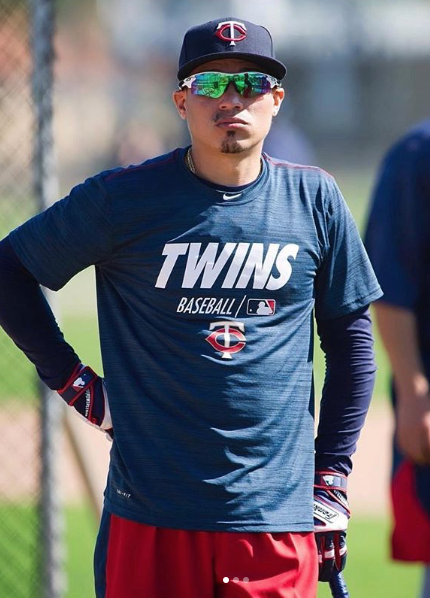 I saw a pic of Ronald Torreyes, now playing for the Minnesota Twins, sporting a cool goatee this week. Players should be allowed a certain degree of self-expression. I get the history and tradition of Baseball’s most storied and prestigious franchise but wearing a groomed short beard is not exactly like slapping last names on the back of the famed Pinstriped jersey. Loosen up the facial policy rules, Hal. It’s your team, set your own standard. This has been a tough year watching Boston win championships in both MLB and NFL. I am tired of Boston fans celebrating and want to see the fans of New York rejoice. The Yankees have a huge opportunity to make plans for a parade in late October. Let’s not screw this up. The dawn of the 28th World Championship is upon us. I went to bed early last night and missed the news the Yankees had signed veteran shortstop Troy Tulowitzki. So, I woke up to the flurry of news this morning the Yankees had signed the one-time superstar. What does it mean? Nothing, nothing at all. A few years ago, this would have been major news but not today. The 34-year-old Tulo is a shell of his former self. But to his defense, it kind of reminds me of the old Toby Keith song, As Good As I Once Was, which goes on to say “I ain’t as good as I once was, but I’m as good once, as I ever was”. This is simply another “dumpster dive” by GM Brian Cashman. He gets a player he coveted in years past for pennies on the dollar. 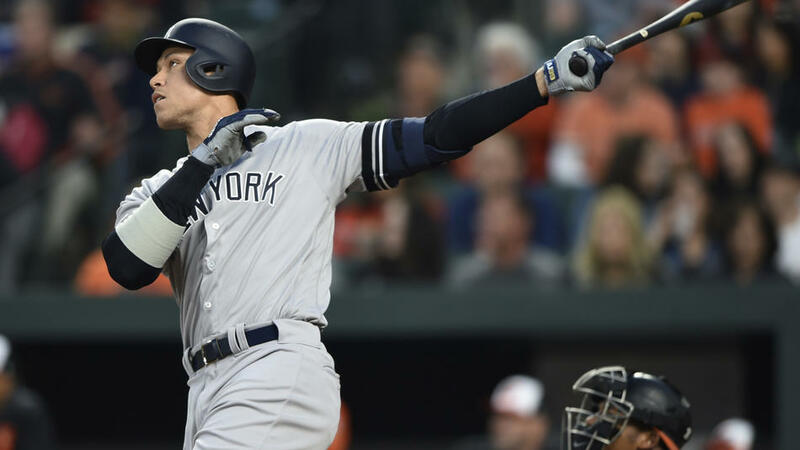 The Yankees will only be responsible for paying the Major League minimum of $555,000 while the Toronto Blue Jays pay Tulo $38 million to wear the famed Pinstripes. I don’t think anyone has expectations or illusions Tulo will be ‘the man’ at shortstop during the absence of Didi Gregorius. If he plays, it is a bonus. A shot worth taking. Worst case, Tulo can’t make it back from the variety of ailments that have afflicted him over the last few years and the Yankees cut him. Nothing ventured, nothing gained. If he performs, there is the potential Cashman flips him at the trading deadline in July if Didi is back and healthy (assuming Tulo plays well enough to warrant a prospect or two) or they keep him around as a depth piece. For Tulo, it is an opportunity to rebuild value on Baseball’s biggest stage. I’m sure he’s talked to former teammates J.A. Happ and Matt Holliday about what it is like to play for the Yankees. Tulowitzki, as we all know, was a huge fan of Derek Jeter growing up as we’ve been constantly reminded about over the years. Tulo has only worn the number 2 at the Major League level with the Colorado Rockies and Toronto Blue Jays but he’ll have to pick out a new number in the Bronx assuming he makes the Opening Day roster. My vote is for Number 12. Tyler Wade has not done anything of significance with the number and he seems like the best candidate for number re-assignment. Or I’d take Number 72 as representation for both Mickey Mantle and Derek Jeter. I wish Tulo the best as he tries to make his comeback. I hope he’s successful. If he is, that means he outperformed guys like Tyler Wade, Thairo Estrada, and Hanser Alberto in spring training. But there’s no way anyone should be counting on Tulo as a savior for the drive to World Championship #28. He is a roll of the dice for pocket change. That’s all. As for the real shortstop target, we should have resolution on Manny Machado this week…hopefully. I don’t know what I think at this point. 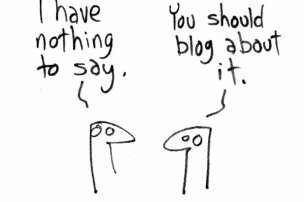 I’ve seen the positive news such as Dan Clark’s infamous Twitter declaration that Machado will be a Yankee and other miscellaneous reports such as an alleged house hunting excursion in Westchester County to look at Phil Jackson’s old place. It’s no secret I am on Team Machado. I want the Yankees to sign him and I know that I’ll be disappointed if it does not happen. I did see a tweet by baseball writer Bob Klapisch this week who put the odds for Machado signing with the Yankees at 60/40. 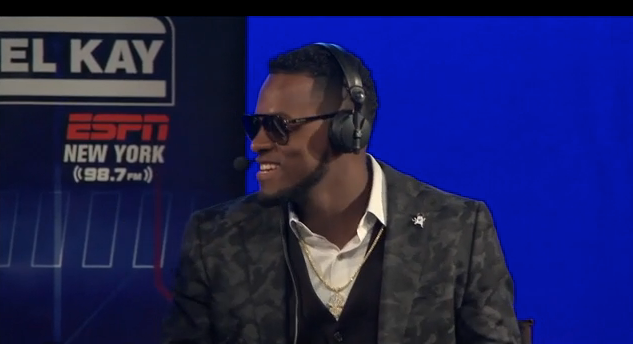 He mentioned Yankees ownership and front office are split on Machado. It seems like it could give the Philadelphia Phillies an opportunity to slip in with a revised significantly greater offer to snag the generational talent away from the Yankees. I know there are many Yankee fans that won’t be disappointed if Machado goes elsewhere. This is about as divided as I’ve ever seen the Yankees Universe or at least in recent years. 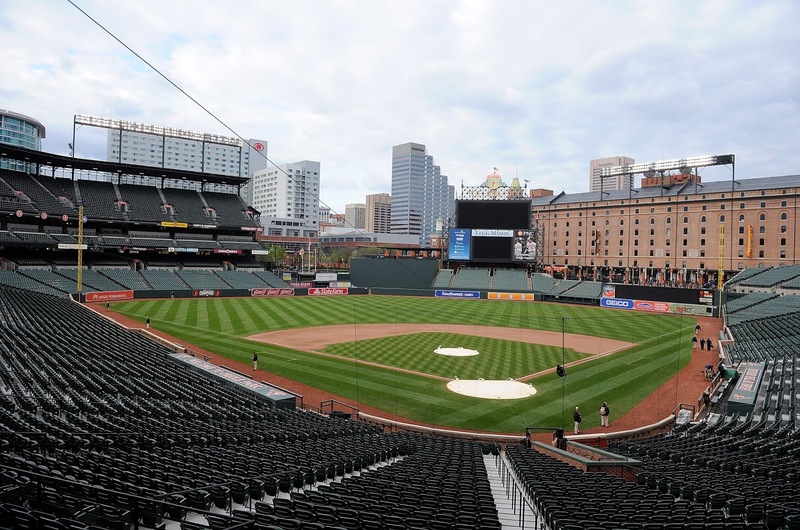 Regardless of the guys who show up in Tampa next month, I hope the Yankees fan base will unite and support the players who break camp as the Opening Day roster even if neither Machado nor Harper are on the team. I think they will, but we’ll have to deal with the division a little bit longer until all of this plays out. 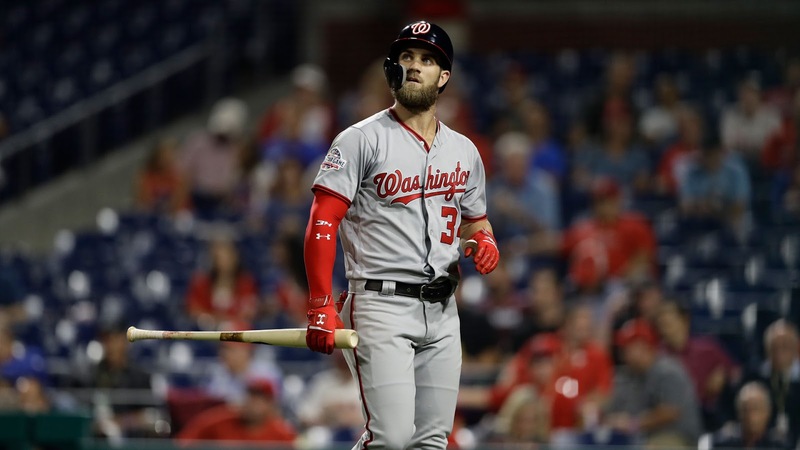 Even if the Yankees redirect and go after Bryce Harper instead of Machado, I’d still expect them to bring in another shortstop or second baseman to help fill the Gregorius void. Adeiny Hechavarria, Freddy Galvis, Jose Iglesias, I don’t care but I’d want other options besides Tulowitzki and holdover Tyler Wade. My preference has been to keep Gleyber Torres at second base but, in my opinion, he remains the best shortstop option despite the Tulo signing. I’d be remiss if I didn’t express best wishes and congratulations to TGP Leader Daniel Burch. Today, Daniel and his lovely fiancée, Kari Ann, will finally say “I do” to become Mr and Mrs Greedy Pinstripes. As we’ve seen from his posts for a long time, Daniel has been so incredibly excited for this day to arrive (as I am sure Kari Ann has been too). We are equally as excited about their future together and wish them much love, extraordinary happiness and overwhelming success! Congratulations Daniel and Kari Ann! 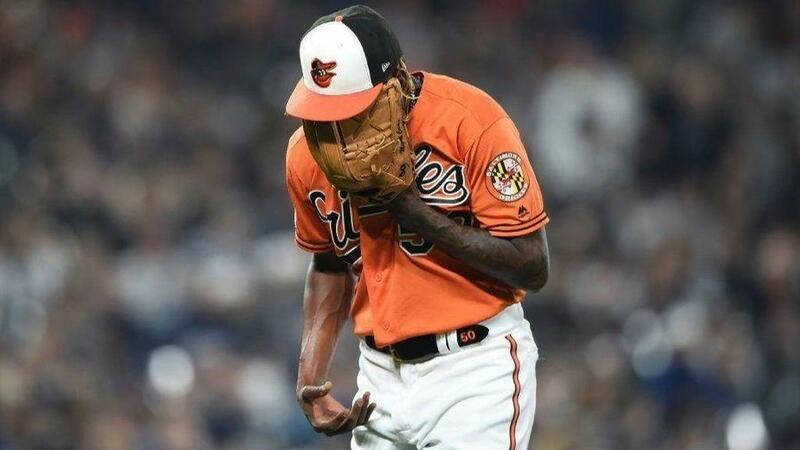 Time for me to go back into Waiting for Machado mode. 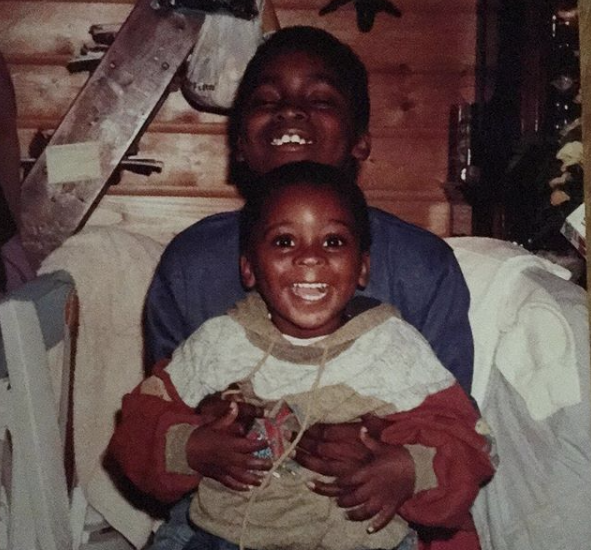 Hopefully we’ll hear something by the end of the week. I don’t think I could possibly stand this dragging into next week. As always, Go Yankees! But today and better yet, Go Daniel and Kari Ann! All dressed up and nowhere to go. 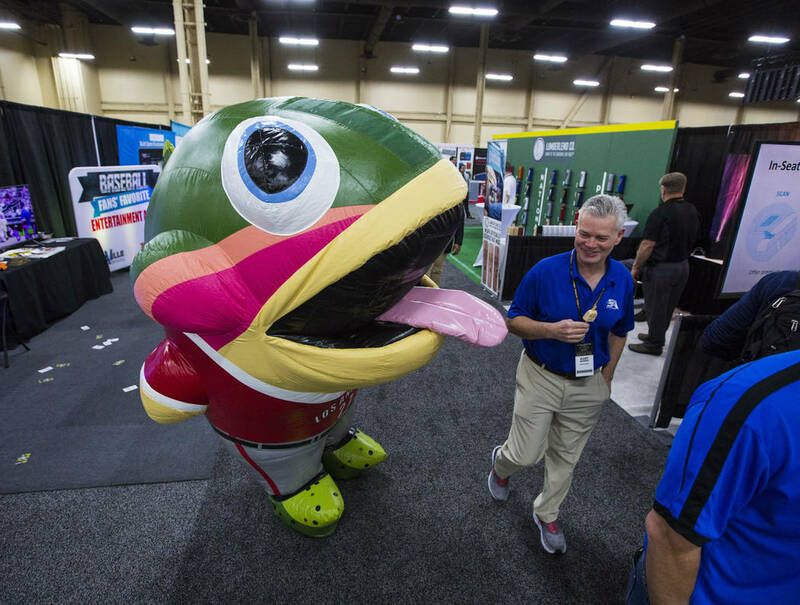 That’s kind of how the Baseball Winter Meetings felt this past week. Lots of talk, not much action. I know, they say the groundwork laid this week will lead to fruit later. I guess we’ll see. There’s talk they should implement a trading deadline in December to spur action (some sort of moratorium against trades for a certain period of time before spring training). Not so sure I am in agreement, but I would have liked to have seen some high flying wheeling and dealing over the past few days rather than much talk about nothing. While I wanted a bigger piece for the starting rotation, I am happy the Yankees at least came away with J.A. Happ on a two-year contract despite the third year option. 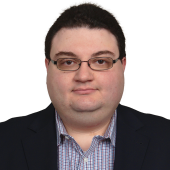 In the two year deal presumably worth an estimated $34 million, Happ can trigger the third year for $17 million by pitching at least 27 starts or 165 innings in the second year. At the beginning of the off-season, I preferred re-signing Happ over CC Sabathia and wanted an upgrade for the fourth spot in the rotation. 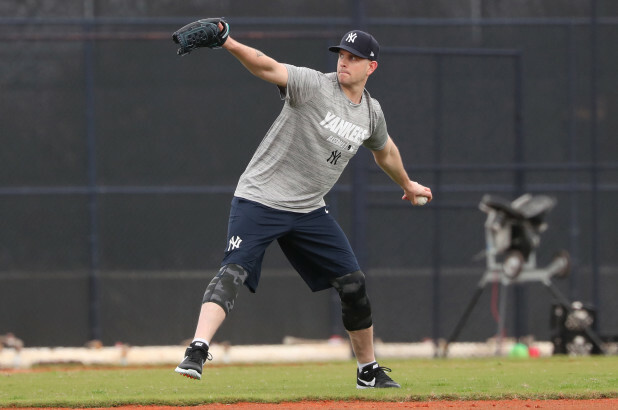 Yes, the Yankees got better by adding LHP James Paxton but he brings additional questions to an already question-filled staff. I was looking for more certainty. Maybe Happ can provide that certainty. He’s been consistent and is a much better pitcher today than he was years ago as a Philadelphia Phillie. We all know how well Happ pitched down the stretch for the Yankees (7-0 with 2.69 ERA in eleven starts). Overall for the season, he was 17-6, 3.65 ERA, 3.4 WAR in thirty-one starts). If the Yankees can get that type of production out of Happ in his age 36 year, I am sure all of us will be pleased. Realistically, I am expecting some regression. After missing out on Patrick Corbin and failing to land a top starter among the rumored trades swirling over the last couple of weeks, I was concerned when I saw that Happ was getting close to signing with the Phillies. I didn’t want to be stuck with a guy like Lance Lynn for the open rotation spot. So, when it came out Happ was going to re-sign with the Yankees, I felt a tremendous sense of relief. I am hopeful GM Brian Cashman continues to press for a top, front of the rotation type of starter but at least he is no longer in a position of desperation to fill out the staff. I was excited when the rumors circulated about a possible three-way trade with the Mets and Marlins that would have brought Noah Syndergaard to the Yankees. But honestly, I don’t see the Mets trading any of their stars to their cross-town rivals regardless of the return. Maybe it’s a new world order with new Mets GM Brodie Van Wagenen but last time I checked the Wilpons still own the team. The latest rumors about that potential three-way trade involve the San Diego Padres as the third team instead of the Yankees. Maybe Cashman should cut a side deal with the Padres for Syndergaard if they pull off the trade that would send Marlins catcher J.T. Realmuto to the Mets. That’s the only way I could see Thor pulling on the Pinstripes. They won’t get him directly from the Mets. I really thought we’d see more free agent signing this past week. I guess Bryce Harper and Manny Machado are holding up the market. After the run on relief pitchers last year, the market for firemen has been lukewarm this year. My biggest fear is David Robertson signing with the Red Sox to pitch close to his Rhode Island home. The Sox have lost “Tyler Austin punching bag” Joe Kelly to the Los Angeles Dodgers and free agent closer Craig Kimbrel is not expected to return. Unfortunately, it increases the odds the Red Sox sign a former Yankee (Robertson, Zach Britton or Andrew Miller) for their pen. I hope not. I think my favorites to sign are Robertson and Adam Ottavino although I would not be disappointed with D-Rob and Miller or Britton or some combination thereof. We could see movement with Manny Machado before Christmas. He apparently has visits with up to six teams next week, including the Yankees, Chicago White Sox, and Philadelphia Phillies. The White Sox acquired Machado’s brother-in-law Yonder Alonso from the Cleveland Indians last night but I don’t think Manny would make a huge financial decision based on where his bro-in-law plays. I’ve been surprised about the number of Yankee fans who want no part of either Machado or Bryce Harper. It’s so rare to get young twenty-something superstars for only money. Yes, it’s a helluva lot of money, no doubt, but the best years are ahead for both players and they’ve already been great. Great but getting better is a combination I like. These are guys who will still be producing at the end of 8-10 year contracts. It feels so underwhelming when we hear names like Freddy Galvis as potential infield options to bridge the gap to the return of Didi Gregorius late next summer. 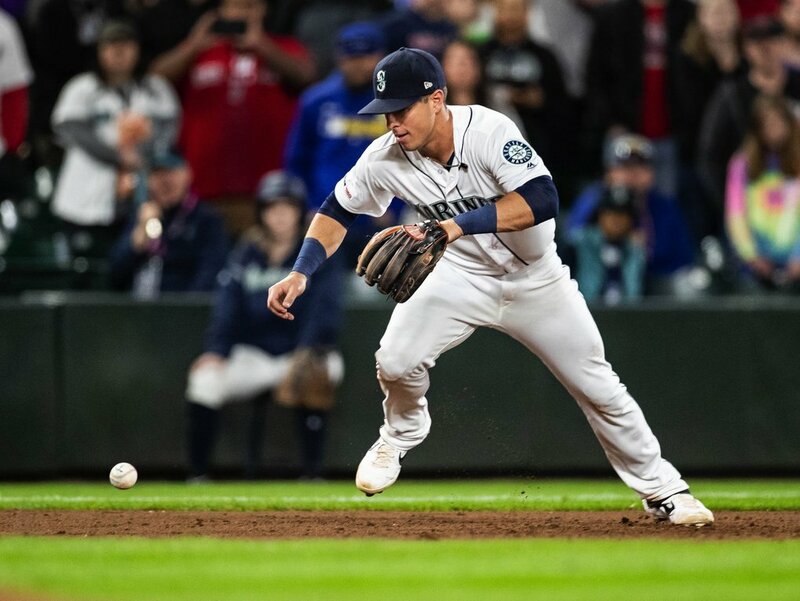 I certainly want no part of the risk associated with free agent shortstop Troy Tulowitzki who was recently let go by the Toronto Blue Jays with $38 million left on his contract. I know Tulo would come cheap for the team that picks him up but the guy can’t stay healthy. That’s not a bet I would want to make for a team with World Series aspirations. I think the San Jose, CA area native should go back to the Bay Area in an attempt to rekindle his career with either the San Francisco Giants or Oakland A’s. 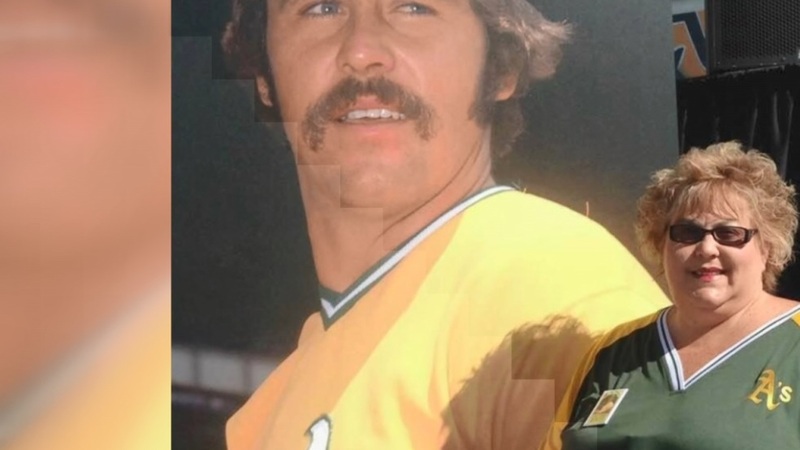 I was also surprised and saddened to hear that Catfish Hunter’s daughter, Kim Hunter Daugherty, only 45, had passed away on Thursday at Hertford Grammar School in North Carolina where she was a teacher. She died of complications related to a pulmonary embolism. Her father died in 1999 at the age of 53 of Lou Gehrig’s disease. Very sad to see their lives cut so short. I was hopeful the end of this week would have seen some resolution for the Yankees bullpen but it was not to be. Hopefully we’ll have some answers before Santa Claus invades our homes in ten days. I am still looking for that magical gift or gifts to make the Yankees better. Yes, they’re good now, but there’s so much potential for this team if it can continue to make the right decisions for additional pieces to fill out the roster. I will be happy when I can look at the roster and find the names of Sonny Gray, Luis Cessa and A.J. Cole nowhere to be found. I was probably leading the parade for Patrick Corbin and there’s no doubt I was disappointed when the Washington Nationals signed him earlier this week. After days and weeks of anticipation, it is a letdown when a player you thought you could get goes with another team but I am not going to rip Corbin. He had to make the best decision for his family. So many people posted that the Yankees whiffed out on Corbin or that he snubbed the team. Neither of these are true. God Bless the Washington Nationals for giving Corbin $140 million over six years. Pay him like he is an elite pitcher even though he isn’t. His family is set for the rest of their lives. It’s been reported the Yankees were willing to go 5 years and $100 million, maybe slightly more if they had felt the player was seriously considering them, but no formal offer was ever made. Not quite sure how that means the Yankees “whiffed” or that by accepting $40 million more dollars, Corbin “snubbed” the team. No offense to the Yankees but if another team offered to pay me $1 million to be their fan, I’m gone. $1 million times 40? Where do I sign? I’ll drive to you. The Corbin ordeal shows that we, as fans, placed greater value on Corbin than the Yankees, and their analytics department, did. I am not sure it was the “shiny new toy” that has been described. I liked the idea of inserting Corbin and James Paxton into the starting rotation with Luis Severino, Masahiro Tanaka and CC Sabathia. Quality lefty who induces groundballs would have been a nice fit in Yankee Stadium. But I also know Red Sox fans were excited about potentially feasting on Corbin if he came to the AL East so there are differing opinions for how he would have fared in the competitive AL East. So, Corbin goes to Washington, I lose out on the guy I wanted most, and life moves on. I like J.A. Happ and I thought he did a very fine job for the Yankees down the stretch, but I am not in favor of giving him a three-year deal at age 36. If he can get three years from the Philadelphia Phillies, one of his former teams, good for him. Let him go hang out at the Liberty Bell. For a promising young team like the Yankees, adding another aging veteran with no real upside at this point does not appeal to me. 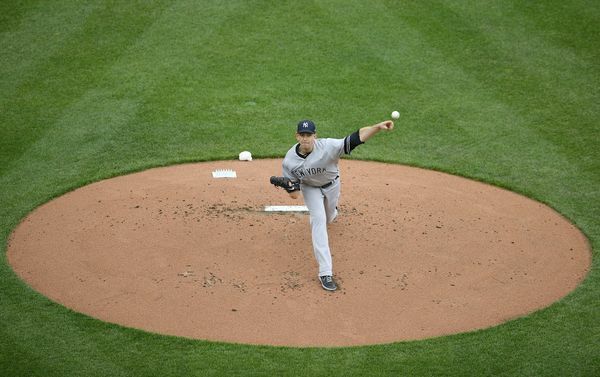 We have CC Sabathia so I’d prefer to keep only one rotation spot for an age-challenged pitcher. I am not trying to discriminate against the elderly, but the fact is Happ has already been the best he is ever going to be. At this point, he’ll only get worse with age. He brings consistency but there’s a greater chance he begins the downward slide that comes with age. Maybe he is the thin version of Bartolo Colon and can keep going like the Energizer Bunny. But for me, there are still too many other (and better options) available. Another pitcher the Yankees apparently “whiffed” on was former Yank Nathan Eovaldi who signed a four-year deal for $68 million with the Boston Red Sox. How do you whiff if you never take a swing? By all accounts, there was no way the Yankees were going to offer Eovaldi four years. I am glad they did not. I like Nasty Nate and, overall, I enjoyed his time with the Yankees. But for a guy who has had two Tommy John surgeries and throws with maximum velocity, the risk is too great for the arm to blow out again. Maybe he stays healthy for Boston over the next four years. Fine, I hope he plays out best case scenario for them. Not that I want Boston to win more championships, but I am not going to wish any ill will toward Eovaldi. Nevertheless, I am glad the risk is on the Red Sox and not the Yankees. It’s like Jacoby Ellsbury in reverse. Let the injury risk reside in Boston this time around. At the moment, the best free agent options appear to Happ, Charlie Morton and Dallas Keuchel. If the Yankees are unsuccessful in trading for another starting pitcher, I suppose that’s the order I would rank them for my preference. Now that the Cleveland Indians have locked up Carlos Carrasco on an extension, the talk they will trade either Corey Kluber or Trevor Bauer is escalating again. There’s no doubt either Kluber or Bauer would be better options than Happ, Morton or Keuchel. Kluber would give the Yankees a top of the rotation ace but he’s a little older (will be 33 in early April). Bauer will be 28 next month and really took his game to the next level last season before a comebacker fractured his leg. For Bauer, there’s no doubt his best years are ahead. There’s also something about the mental toughness of Bauer that I like which would probably make him my preference even though Kluber is the more accomplished pitcher of the two at this moment in time. But regardless, if the Yankees can get either Kluber or Bauer, they WILL be a better team. I really hope GM Brian Cashman can put together a package with Cleveland to grab one of their aces. No prospect hugging for me. If it takes Estevan Florial, among other highly rated prospects, to make this happen, do it. I’d move quickly to extend Aaron Hicks as a result but there are options. Hey, we have Jacoby Ellsbury coming back for center field, right? Yikes! Throw that one away, but seriously, how fantastic would a rotation of Severino, Kluber/Bauer, Paxton, Tanaka, and Sabathia look? World Series-quality to me. I suspect Brian Cashman has been working hard behind the scenes and we’ll soon see the fruits of his labor. So many people have ripped the Yankees for their off-season work so far despite the acquisition of one of the American League’s best lefties but we really need to see how this month plays out. By Christmas, we should have a solid handle on what the 2019 Yankees will look like. 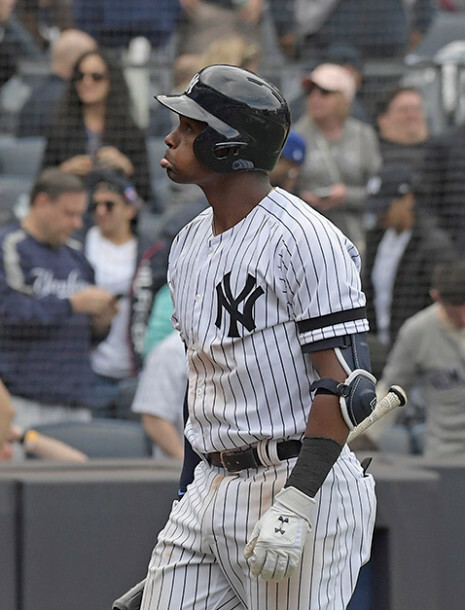 Another starter, a couple of late inning bullpen options to help Chad Green, Jonathan Holder, Dellin Betances and Aroldis Chapman, and a solution to cover the months we’ll be missing Didi Gregorius as he recovers from Tommy John surgery. All of these questions should be answered over the course of the next couple of weeks. Dammit Hal, GET GREEDY! Now is the time to strike! I was saddened to wake up to the news that former Major Leaguers Luis Valbuena and Jose Castillo were killed overnight in a car accident in Venezuela. It was just a couple of years ago I thought Valbuena would have been a great third base option for the Yankees (back during the frustrating Chase Headley days). Valbuena was released by the Los Angeles Angels in August, but at 33, he still had time to find his way back. I am sorry for the loss of both men and the devastating effect it will have on their families. May they rest in peace. I think the Minnesota Twins have figured out if you can’t beat them, join them. By joining “them”, I mean adding former Yankee players to their team in the on-going attempt to find a way to finally beat the Yankees. 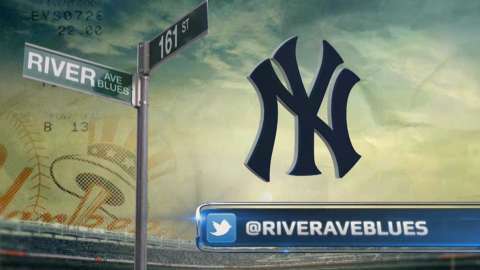 Yesterday, when news broke the Twins had signed a one-year deal with former Baltimore/Milwaukee second baseman Jonathan Schoop, it was almost immediately announced they had also signed former Yankee utilityman Ronald Torreyes. Aaron Judge’s little buddy was recently non-tendered by the Chicago Cubs shortly after his acquisition from the Yankees. Toe should have opportunities for playing time in Minnesota. Good for him. 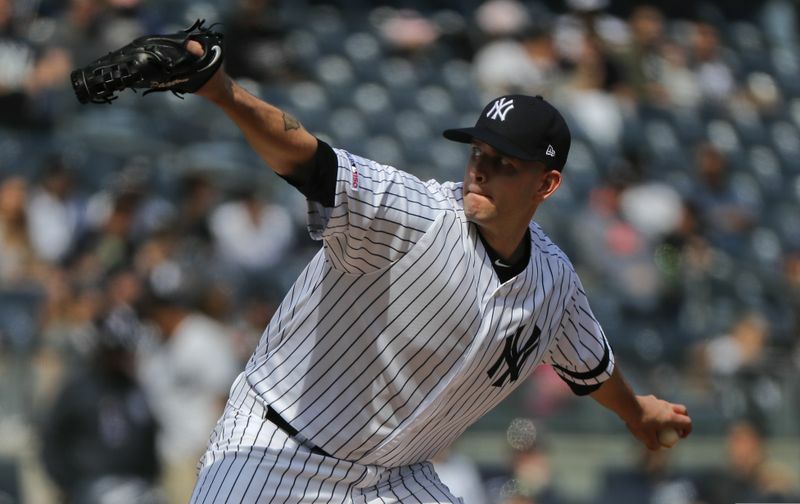 He’ll join a variety of former Yankees…Michael Pineda, Tyler Austin and Jake Cave. Former Yankee prospect Zack Littell, acquired last year in the deal that brought Jaime Garcia to New York, is also on Minnesota’s 40-man roster. Congratulations to the Scranton/Wilkes-Barre RailRiders! The Yankees’ top affiliate, in conjunction of the International and Pacific Coast Leagues, announced last night that they will host the 2020 Triple-A All Star Game at PNC Field in Moosic, PA. 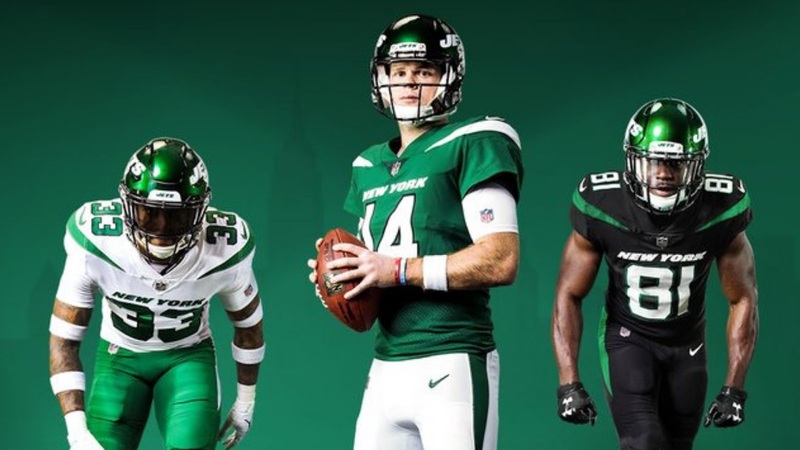 The game will be played on July 15, 2020. Derek Jeter’s Miami Marlins announced their coaching staff for 2019 under manager, and former Yankee great, Don Mattingly. There are clearly a few very strong Yankee connections on the staff. Mike Pagliarulo returns as the team’s hitting coach and he’ll be assisted by Jeff Livesey, son of former Yankee executive and scout Bill Livesey. Trey Hillman, a former minor league manager in the Yankees farm system and a member of Joe Torre’s staff in 2004, was named the First Base/Infield Coach. The pitching coach will be Mel Stottlemyre, Jr., son of the former Yankee pitcher and later pitching coach under Joe Torre. It’s hard to believe the Winter Meetings are almost upon us. Everybody has been waiting for the action to start. We’ve certainly seen it this week with the Corbin and Eovaldi signings, along with a couple others, and the trade of first baseman Paul Goldschmidt from the Arizona Diamondbacks to the St Louis Cardinals but the party is just getting started. It looks like we are in for one helluva ride in the coming days. Who wants to be a Yankee? Let’s do this.